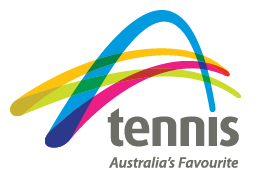 Coaching, Personal Training or any other organised activities must not be conducted without the prior permission of the Management of Trumper Park Tennis Centre. Only coaches approved by Trumper Park Tennis Centre may coach at the centre. Please see our coaching page for coaching related terms and conditions. Management reserves the right to remove anyone who disobeys the conditions of entry or who displays inappropriate behavior. In the case of serious offences or criminal activity, police will be contacted. Management reserves the right to refuse entry in the future to perpetrators in such instances. All casual bookings during peak times are to be paid in advance and are subject to our cancellation policy. Payment is preferred through our ONLINE web booking system but can also be made in person or over the phone. Bookings will be opened for the following month from the second last Sunday of the current month for all casual bookings. In the event of rain, casual bookings must contact the centre on the day to confirm that the courts are unsafe otherwise no credit will be issued. A permanent booking will be given first preference over other court hire enquiries to renew the same weekly booking time for a month at a time. Payment must be made each week of the month to secure the booking for the following month. If payment is not made the court booking will be released to the community. A minimum of 24 hours notice is required to cancel a permanent booking which, can be done online or via phone only(please not via email). In the event the a permanent booking is cancelled without the necessary notice every effort will be made to rehire the court by the tennis centre, if not, it must be paid for. Centre management has the option to reclaim a permanent booking for special events such as coaching, competitions etc. Customers will be given ample notice of any changes. In the event of high demand for court usage, under no circumstances will centre management be obligated to accept or maintain permanent bookings. If a permanent booking loses their slot due to new programs, management will attempt to find an alternative day and time but will not remove another booking to accommodate the schedule of the hirer. Permanent bookings that wish to hold their booking for a limited time due to illness, business, travel or holidays and then recommence the same booking in the future will be reviewed by centre management and considered by the circumstances and time that the booking will be cancelled. In the event of rain, permanent bookings must contact the centre on the day to confirm that the courts are unsafe otherwise the booking will be charged. Permanent bookings can also be made for longer periods than a month at a time by requesting this with management. Permanent bookings will be brought forward for the following month from the second last Sunday of the current month to allow for new casual bookings to be made. The following conditions apply to refunds and cancellation. In the event that you can no longer participate due to reasons of your own, we regret that no refunds or credits are available. If you can no longer play due to injury or severe illness, we are unable to provide cash refunds. A credit to your account may be given however; the decision to issue a credit rests solely with management at Trumper Park Tennis Centre. In the event of rain, credit to all bookings is valid as long as the rain is considered too heavy for play or the courts are unsafe due to puddles. Players will need to contact the centre on the day to confirm the playing conditions. If no contact is made with the centre and you do not turn up, you will be charged the normal court hire rate. In the event of a cancellation in the required time or a wash out the credit will be applied to your account on our system to be used for future bookings. Any application for a refund must be made in writing to Trumper Park Tennis Centre. Refunds will only be considered from the date of your written application. In the event of pre paid court bookings a credit will be provided if twenty four (24) hours notice is made by contacting the centre to cancel. 100% of court fees will be charged if less than twenty four (24) hours notice is given to the centre.